A talented, Welsh born former rugby union international, Derek Leslie Quinnell is just as confident and skilled when it comes to delivering motivational speeches. He can inspire and educate all manner of audiences and has a fine playing career to call upon when doing so. Derek was born 22 May 1949 in Llanelli, Carmarthenshire, Wales and went on to win 23 full caps for his country both as a lock-forward and as a number eight. HIs versatility made him a key player in the side and interestingly, all three of his sons Scott, Craig and Gavin went on to play top-flight professional rugby in both union and league. 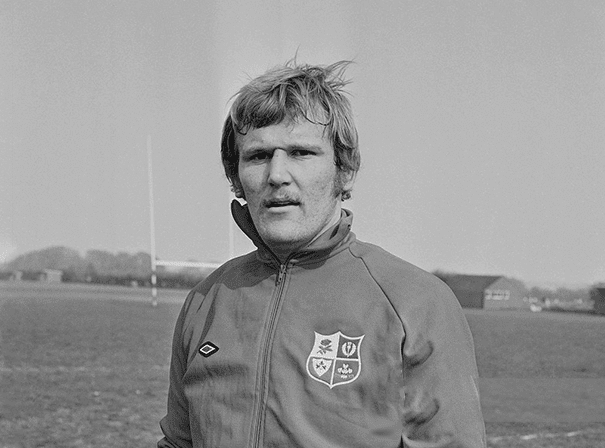 Derek first played for Llanelli RFC in 1967 and then five years after made his international debut for Wales against France. A born leader, he captained Llanelli in 1979-80 and went on three British and Irish Lions tours as a fine forward player. He was the only player in the Lions squad not to have been capped by his country when he went on the tour to New Zealand in 1971, playing in one test. He went to New Zealand again in 1977, playing in two tests, and finally to South Africa in 1980, again playing in two tests. This experienced and well travelled former professional is a charming sports personality available for a range of public appearances, hosting duties or after dinner speaking engagements.